Partners - IES Lean Systems Ltd.
Infinity QS - We have a history of supplying bespoke SPC systems and are now proud to Parter with InfinityQS. The world leader in SPC software, extremely successful across all industry segments, InfinityQS are proving themselves to be the number one creator of products for SPC. IES Lean Systems Ltd.is the UK Certified Reseller and your primary contact for all InfinityQS products. With our systems, integration, consultation and training abilties we are able to offer turnkey and value added solutions for all your SPC needs. Automation Systems, HMI, Networks, Process & Analytical Instrumentation. We have a large installed base of Siemens Equipment Ranges including DCS, PLCs, PLC upgrades, SCADA, Drive Systems & Safety Systems. Our expertise covers Simatic IT, WIN CC, PLC5 and PLC 7. Rockwell Automation - We are proud to Partner with Rockwell Automation: a Global Premier brand for automation products. We have a very wide installed base of Rockwell and Allen Bradley Products. Our engineers are experienced with Allen Bradley PLCs, Drives and Motion Controllers, Safety Systems and HMIs. Similarly our Systems Programmers can implement Rockwell Products in the Supervisory and MES layers. Toshiba - This global brand provides state of the art control products across a wide range of industries including class leading Distributed Control Systems. We have 2 decades of association with Toshiba and has installed and supported 4 generations of DCS from Tosdic 246 to today’s latest products. The nature of Toshiba DCS's evolution has enabled us to implement system upgrades to ensure systems remain supportable on many installations. Toshiba systems enjoy unprecedented reliability, however having a team of skilled engineers available for support is essential. IES Lean Systems Ltd. is that team. Cisco - We are a Cisco Registered Partner: Cisco Systems Inc. is the worldwide leader in networking for the Internet. Cisco's Internet Protocol-based (IP) networking solutions are the foundation of the Internet and most corporate, education, and government networks around the world. 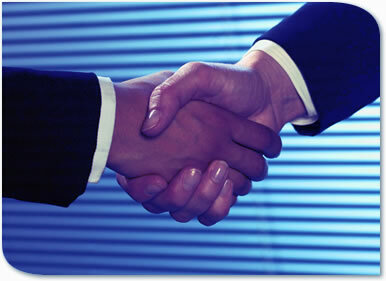 This partnership firmly establishes the relationship between IES Lean Systems Ltd. and Cisco. As part of our networked solutions we supply Cisco Switches and Routers to provide the highest quality networking platform on the market. All of our supplied Cisco hardware is designed, configured and installed by Cisco Certified Engineers. All our Cisco Certified Engineers are qualified to CCNA (Cisco Certified Network Associate) Professional Standard. Fireye - We Partner Fireye: a world leader in Flame scanners and other boiler/burner control components. A wide variety of Fireye scanners and associated electronics to meet all applications on single and multiple burner installations are available from IES Lean Systems Ltd. The ranges include “state of the art” unitized scanners with internal flame relays eliminating the need for external flame amplifiers and reducing the total installation cost dramatically. Dual Sensor versions with intelligent signal processing decrease the incidence of spurious trips particularly on dual fuel applications. Autotune simplifies and reduces the time and cost of commissioning.Remote communications can provide centralised information and co-ordination on large multiple burner applications. We also provide Integrated Burner and Safety Controls. The Fireye Nexus provides this for single burner applications. Available for single or dual fuel applications. Electronically eliminate losses in efficiency due to boiler linkage lost motion. Improve turn down and load response by more precise control. Further increases to efficiency by oxygen trim control.